I have recently been given the opportunity by FlashSticks for my family to learn a second language. 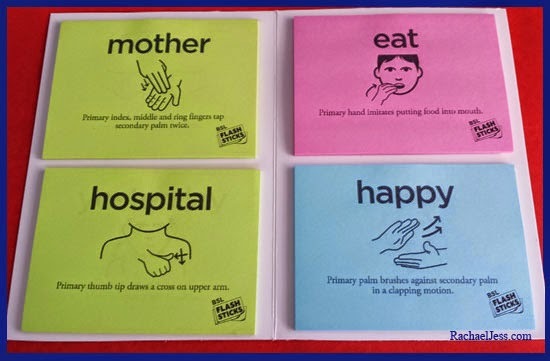 With currently eight different languages to choose from, we chose British Sign Language and for 2 reasons. Firstly, when Max was still learning to speak he would say please and thank you in sign, which he'd learnt at nursery, and I thought this was wonderful. Secondly, ever since I learnt the alphabet in Guides (I know, going back a few years now....) I've always thought of BSL as an important language to learn. To be able to just say 'Hi, how you doing', to someone who can not communicate in the more conventional way, rather than just smile or nod would mean so much for me to be able to do. 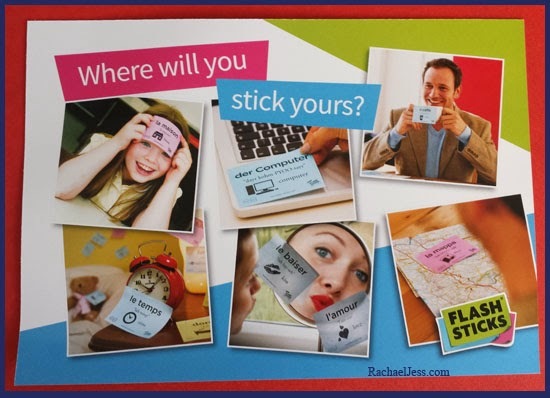 The way in which FlashSticks works is you have a packet of post-it notes sent with a description and picture on for you to learn, and because these lessons are on post-its they can be stuck all around the house in key areas for learning. We have only just started our journey with FlashSticks and have our first few worlds stuck on the mantelpiece. All three of us now know the sign for a hospital, happy, eat and mother and therefore, today we have moved on to the next 4 post-its. As we get familiar with the new words I'll move the first ones we learnt to a less dominate space in the house and add 4 new post-its each week. 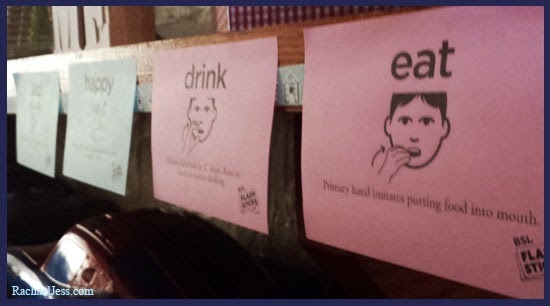 The program also comes with an App that you can download via the Apple Store or Google play which will help with pronouncing foreign language words perfectly. 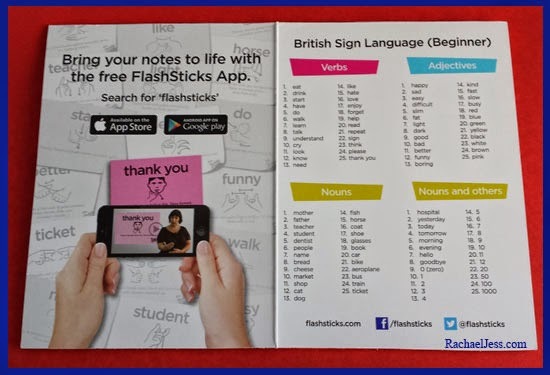 I will write up another post in a couple of month's time to show how far we have come with this form of learning, which will give you an idea of how easy it is to learn with FlashSticks.... In the meantime, you can find out more via their website, Twitter and Facebook sites. 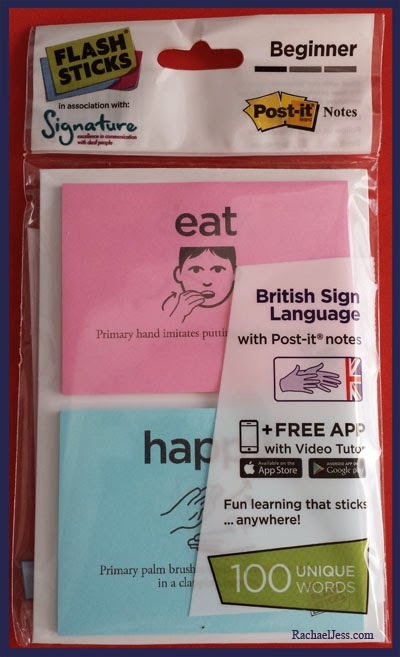 I received BSL learning from FlashSticks to review.